This fantastic skyscape lies near the edge of NGC 2174 a star forming region about 6,400 light-years away in the nebula-rich constellation of Orion. 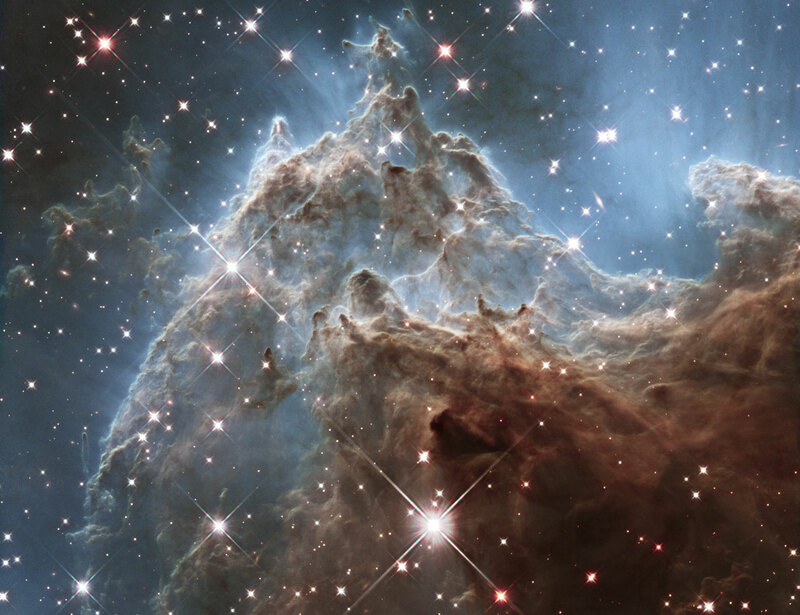 It follows mountainous clouds of gas and dust carved by winds and radiation from the region's newborn stars, now found scattered in open star clusters embedded around the center of NGC 2174, off the top of the frame. Though star formation continues within these dusty cosmic clouds they will likely be dispersed by the energetic newborn stars within a few million years. Recorded at infrared wavelengths by the Hubble Space Telescope, the interstellar scene spans about 6 light-years.